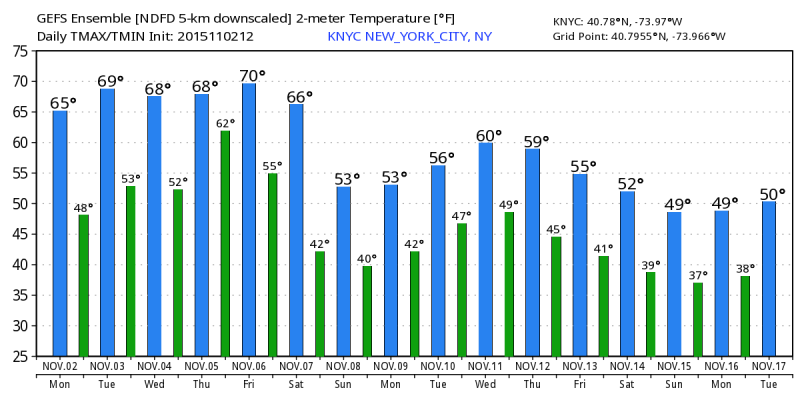 The entire balance of the atmosphere is shifting to begin the last full month of meteorological fall, creating the mirror image of a pattern that’s been all too familiar in recent years. 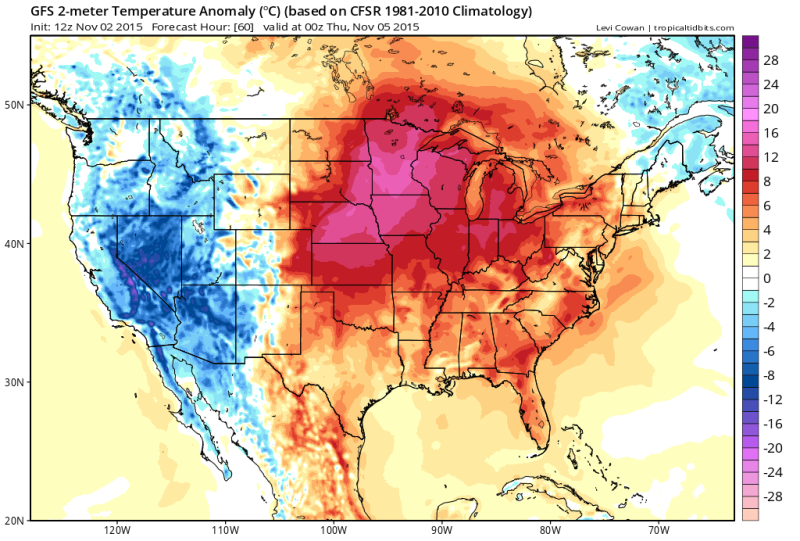 Temperatures in the eastern two-thirds of the country will stay well above average for a good portion of the week thanks both to a large ridge of high pressure and a low pressure system that will develop later this week. 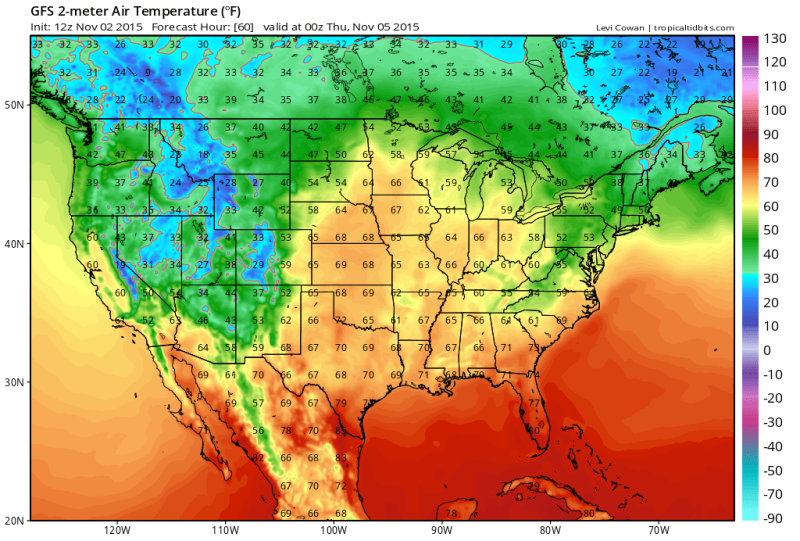 This morning’s run of the GFS model (shown above) paints huge temperature anomalies from the cow-filled Plains of Texas to bustling cities like Chicago and Muncie, but that huge shift above normal doesn’t seem so bad when you figure that it’s November and “well above average” means high temperatures in the 60s and 70s. Nice! Except for Florida, of course, where it’ll continue to feel like Florida for a little while longer. The weather feature causing this outbreak of niceness is the main reason the West Coast has seen such unrelenting heat and drought for the past few years. Ridges and troughs in the atmosphere drive most of the weather around the world. Troughs typically bring cooler, active weather to those downstream, and locations caught under ridges of high pressure tend to see warmer-than-average temperatures and drier-than-normal weather. In other words, ridges are boring. But they’re nice! Or, they can be when they only stick around for a little while and it’s not July. The western United States and Canada have only seen occasional breaks in an otherwise unrelenting ridge parked over the area, keeping them so dry they’re struggling to cope with a devastating drought. The weather exists as nature’s futile attempt to balance out the atmosphere. Wind blows to equalize the difference between high and low pressure. Hurricanes form to transfer heat from the tropics to the poles. So on and so forth. 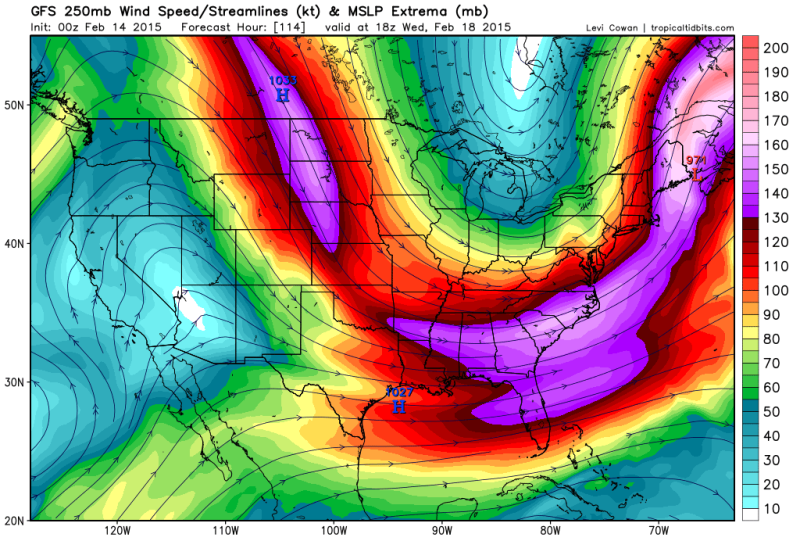 When you have a big ridge in the jet stream, there’s almost always going to be a big trough somewhere downstream to balance it out, and when that big ridge is stuck over the West Coast, that big trough is usually over the East Coast. The model image above, showing the jet stream in the middle of last February, is a classic example of this yin-yang weather pattern that’s plagued us for so long. That’s why it would pour and storm and snow and get frigidly cold out here near the Atlantic while our friends out near the Pacific blocked the sun glare from their screens while they demanded we send some of our water to them. It’s flipped! 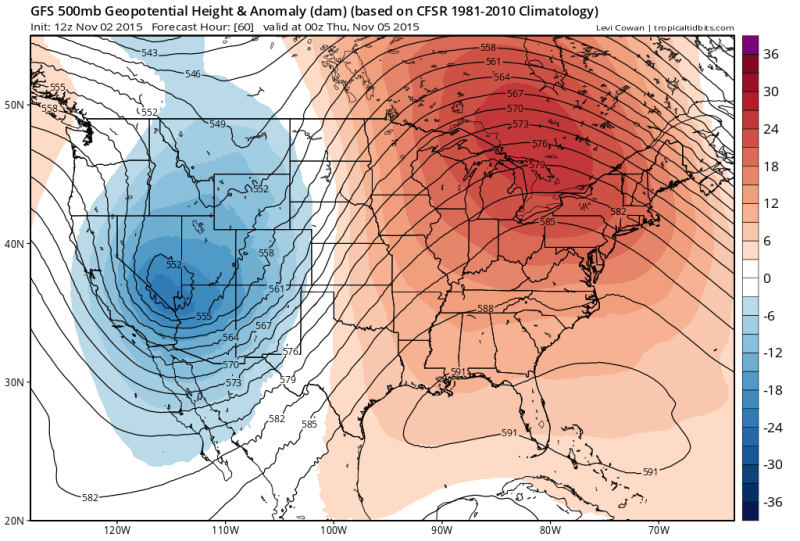 A steep trough over the western United States and a steep ridge centered over the Great Lakes will flip flop the weather for at least a couple of days, bringing warmish to those of us east of the Rockies, and cooler and rainier conditions to those on the Left Coast. The colors on the map above show the height anomaly, which is helpful in easily spotting ridges and troughs. 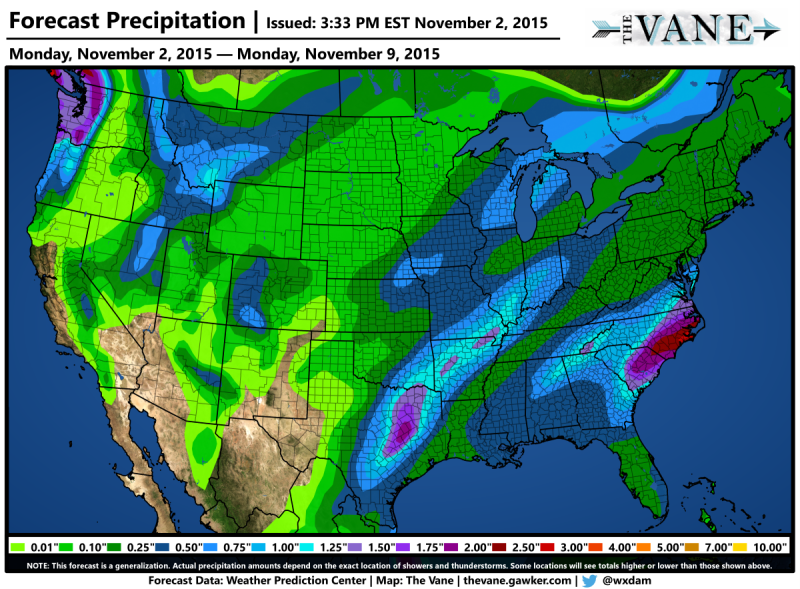 Above is the Weather Prediction Center’s precipitation forecast for the next seven days. So often when I’ve drawn one of these maps for a post, I’ve had to extend the categories out to include the “buy a raft” category of hellacious rainfall, so when you see an inch or two falling over a large area, it’s not too bad. The bouts of rain should fall in four batches. The first is the rain falling right now over the southeast and parts of California, where winter storm warnings are in effect for the Sierras as they see up to two feet of snow by tomorrow. The second round will be a rather strong low pressure system that starts in the Midwest on Friday and shoots northeast through Canada this weekend (above), producing the long stripe of precipitation we see from Texas to Lake Erie. 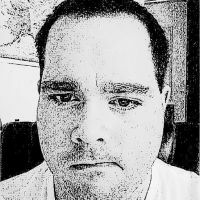 The United States will stay firmly in the warm sector of this low, meaning that we’ll see winds from the south, sucking up warm, humid air from the Gulf. Yum. 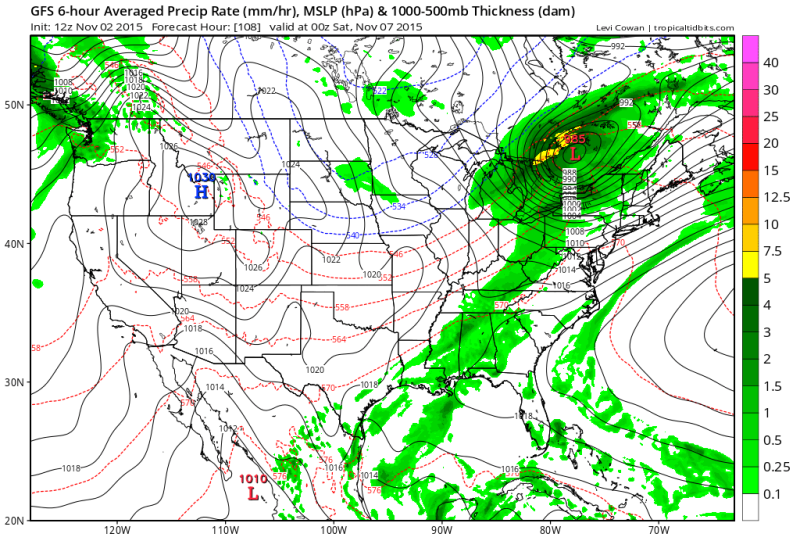 Once the low moves through, the GFS model is showing heavy rain setting up along the southeast and Mid-Atlantic on Saturday and Sunday, adding to rainfall totals that they’re already seeing today. And out west, oh yes out west!, parts of the Pacific Northwest should see a couple of inches of rain as a storm system moves ashore in British Columbia. Rain or not, I’m sure cold haters across the country are giddy at the thought of not having to crank the heat for at least a couple more days. Of course, if you think it’s going to last, you’ve clearly never experienced November. Winds will shift on the back side of that low, and it’ll get chilly again, but still not quite as bad as it should be.